Episode 1: Why Kemetic Orthodoxy? In all honesty, there was a long while where I had decided that Kemetic Orthodoxy was my last stop before atheism. Nothing else seemed plausible anymore. I’m not sure I agree with that anymore, though. I think that through experiencing God in this place, I’ve learned to believe in and love God in Its many forms. When I found it, Kemetic Orthodoxy gave me a place to learn and grow, loving gods Who had come forth to me demanding my attention like imperious felines. It furnished me with a community of people worshiping these same gods, in the same context, with the same values and ideals. It gave me a framework to learn to understand the Universe (as best as anyone can, anyway). I found Kemetic Orthodoxy when I was 17 going on 18, and in period of intense personal growth. The faith was sort of a safe space for me to get to know the spiritual world, and to become secure in my beliefs. I find that the more time I spend in this place, the more the world makes sense, on a resounding, personal level. 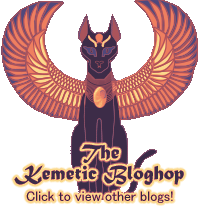 I love the gods of Kemet; I love Wepwawet, I love Sekhmet-Mut, I love Bast, Nut, Khonsu, Heru, Set, Nit, Mut, Ra, Djehuty… I love Them all in Their wide mosaic of divinity. I love the comfort of Senut, I love the people in my community– even the ones who sometimes drive me crazy as nails on a chalkboard sometimes. I don’t know that I really have a choice – or if I ever had one. My Gods have laid a pretty strong claim on me. 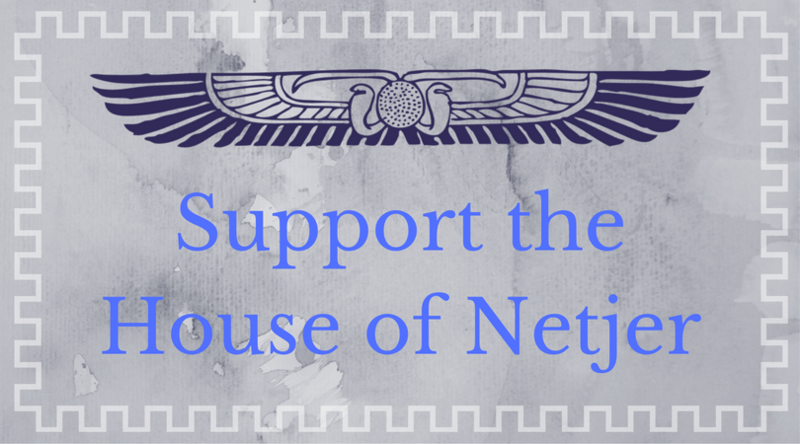 They don’t often direct me places – but I have no doubt that They firmly steered me to the House of Netjer, showing me where I belonged. I could certainly worship Them in any number of ways with any number of people – and probably be quite content! – but I don’t think I would have felt such a strong pull to this place if They hadn’t had a hand in it. And They pointed well, to be sure: I have found deep and lasting friendships with people I would never have met otherwise. I have a deep and loving relationship with my gods. I feel whole and satisfied in my practices, and joyful in my duties. If there were something else that I thought would feel quite so satisfying, I’d go there. So far, I haven’t found anything that feels quite as Right. I guess the short answer, then, would be a combination of “They said so” and “it just feels Right”. Next Post Episode 2: Cosmology.